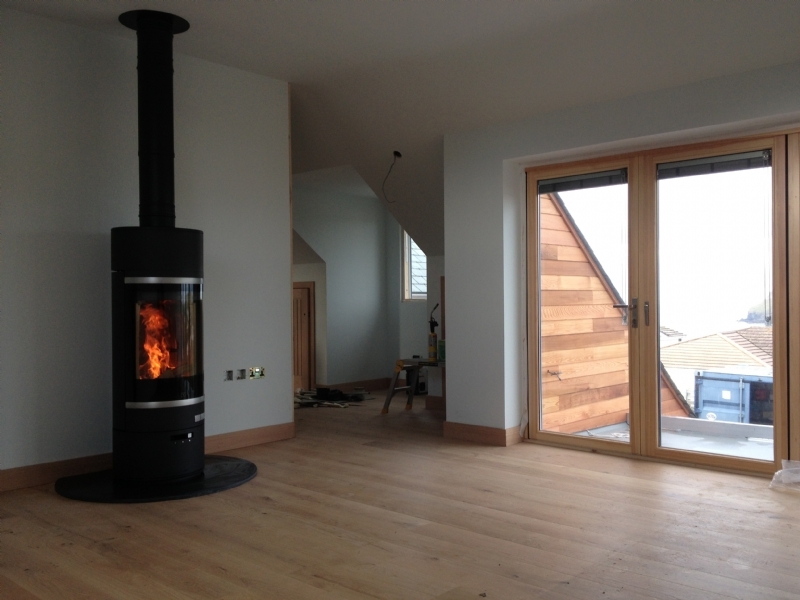 Scan 85 in an open plan living room wood burning stove installation from Kernow Fires. 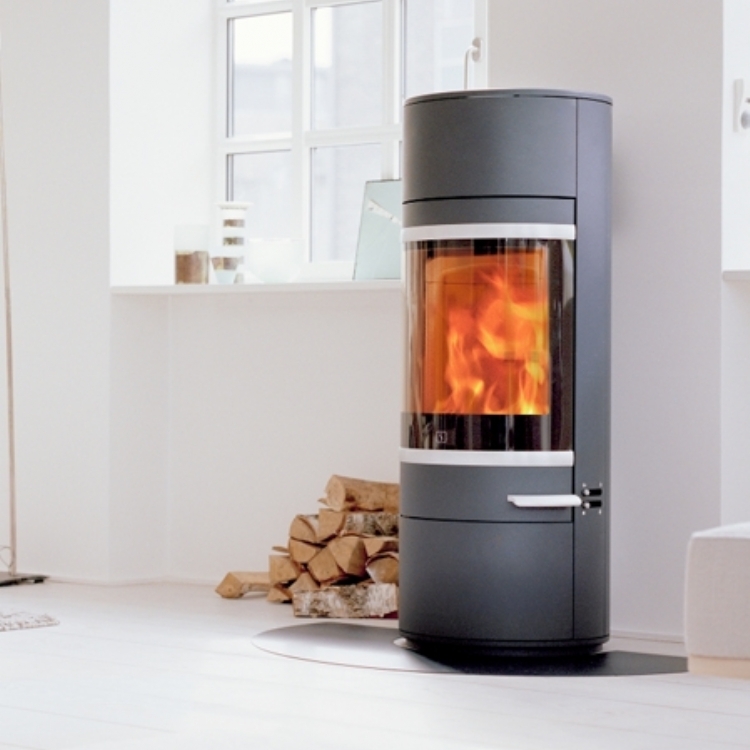 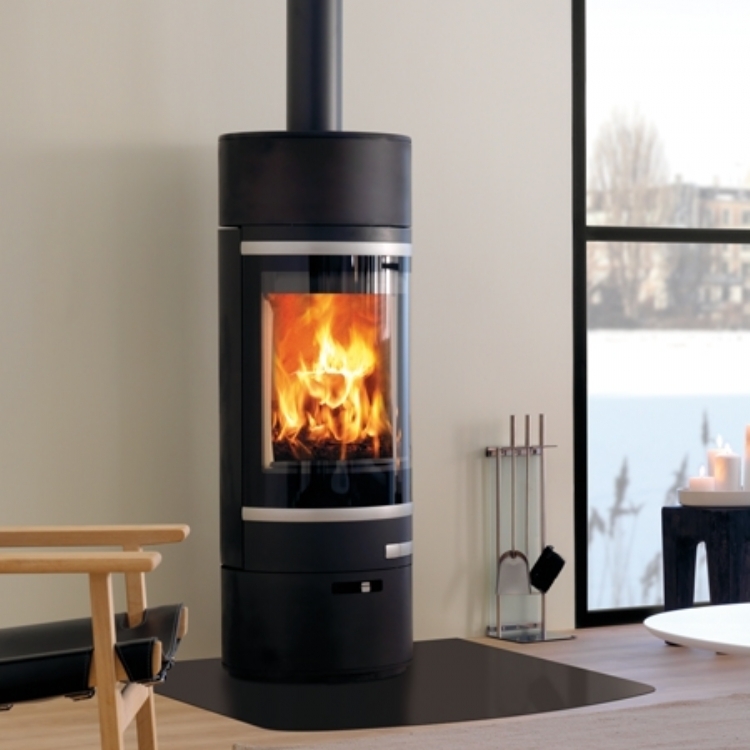 The Scan 85 is a completely circular wood burner with contemporary strips of stainless steel adding highlights. 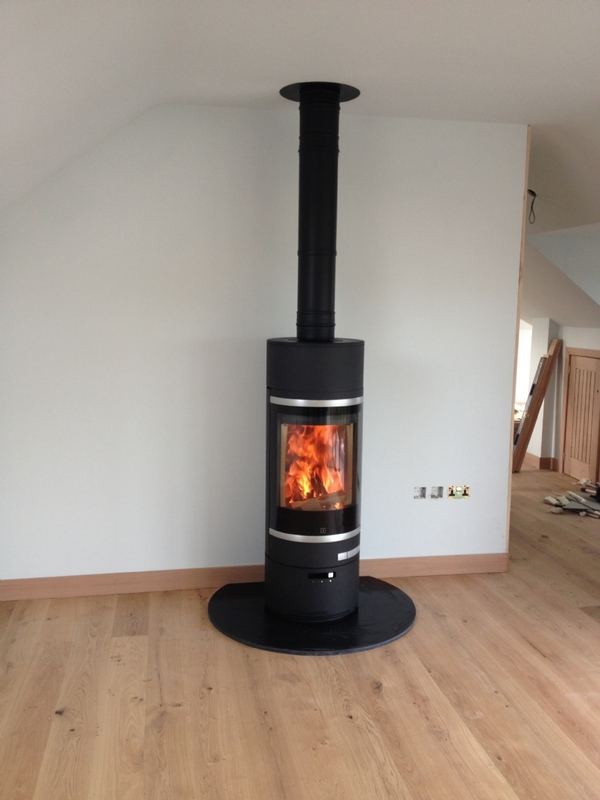 We had the Honed slate hearth cut to size for the customer and twin wall flue was taken from the fire up through the house and outside to regulation height.